In the north west reaches of Botswana lies an ancient wonder. Four copper red hills rise abruptly from the dry scrub and low trees of the surrounding plains. On the surface, thousands of paintings have been brushed onto the quartzite rock in red ochre. San and Hambukushu communities in the surrounding areas revere the land as sacred. They area is known as Tsodilo Hlls. 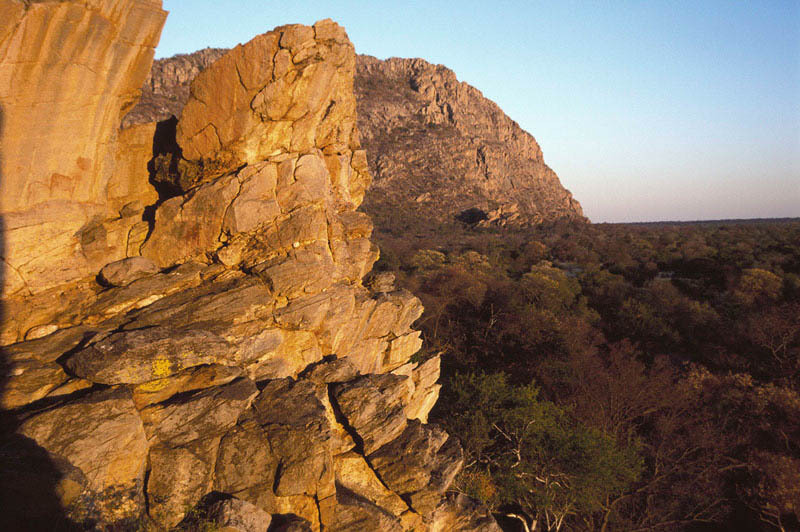 Tsodilo Hills in Botswana is a rock art site near the Okavango Delta panhandle that is thousands of years old. It is made up of four hills, each covered in rock art created by ancestors of the Bushmen tribes who have lived on the land for millenia. The site was officially listed as a UNESCO World Heritage Site in 2001 and attracts groups of visitors throughout the year who are curious about the ancient rock paintings and the land shrouded in mysticism. 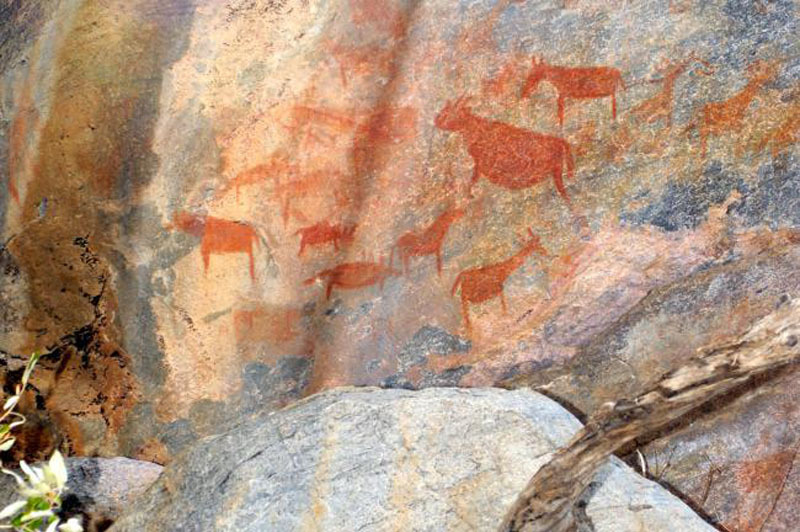 Tsodilo is home to the richest concentration of rock art paintings in the world. There are an estimated 4500 paintings earning it the nickname “Louvre of the Desert”. Tsodilo is derived from the Hambukushu word ‘sorile’ meaning sheer is believed by local communities to be a home for ancestral spirits and is revered as a place of worship. The four hills are known individually; the biggest is ‘The Male’, the second biggest is ‘The Female’, the third biggest is ‘The Child’, while the fourth remains unnamed. Years of archeological research found evidence of human existence on and around the hills dating back 100 000 years. Myth surrounds the ancient site. The Bushmen communities believe it to be the site of hummankind’s creation with The Male being home to the most sacred site – a large rock right on top where it is believed the first spirit prayed following creation. It is also believed that causing death or pain within sight of the hills will bring bad luck and misfortune. Another myth surrounds the name - or lack of name – of the fourth hill. The smallest hill is believed to be The Male’s first wife who he left for a younger woman (The Female Hill) leaving the smallest hill nameless. While we will never know exactly what the rock art depicts, it is believed that they showed everyday life as well as scenes of sacred rituals. Archeologists and historians guess that ancient shamans would adorn the rock with the artwork during these rituals. A hike across the hills will reveal rock and cave walls covered in historic paintings showing humans, animals both wild and domesticated, and an array of geometric designs. Visitors can spend days exploring trails and discovering ancient artworks. Tsodilo Hills is slightly off of the beaten track but it is a great destination for anybody curious about rock art and the mysticism surrounding the hills. There are a number of campsites near to the hills with one main site housing major facilities. Local guides are available for guided walks.